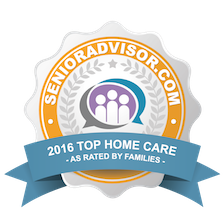 Elite Senior Home Care is the premier leader in home health care. You are in charge of choosing your own caregiver. We can provide several companions for you to meet and choose from. We will also decide the best date to start, discuss pricing, and put together a schedule to fit your individual needs and desires. We recognize the emotional and physical demands of caring for an elderly or ill family member. We know you can’t do it all so we’re here to provide your loved one with the satisfaction of enjoying life at home, surrounded by a familiar settings, where all can rest and relax. No Matter where your loved one lives, our quality care makes it home with comfort and security. Elite Senior Home Care has the appropriate personnel to help you and your loved ones with all of your after surgery care. We specialize in working with Alzheimer/Dementia clients and have memory care programs available. Our Alzheimer’s trained caregivers provide compassionate care for patients and families struggling with Alzheimer’s disease. We know home is where the heart is and that is why Elite Senior Home Care ensures clients and patients that they will have our full attention with their in home care. Our reputation has been built on the success and quality of our staff and their dedication to the art of caring services. Our staff continually strives to make Elite Senior Home Care an industry leader in providing private duty services. Elite Senior Home Care is not a branch of a national company or a franchise operation. We are locally owned and operated. 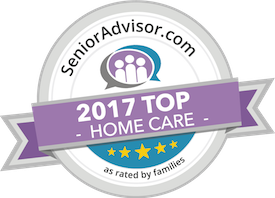 Hospitals, hospice care and families can trust Elite Senior Home Care to provide a high level of professional caring services. We recognize the emotional and physical demands of caring for an elderly or ill family member. We know you can’t do it all so we’re here to provide your loved one with the satisfaction of enjoying life at home, surrounded by a familiar settings, where all can rest and relax. No Matter where your loved one lives, our quality care makes it home with comfort and security. We have the ability to accept and bill your long term care insurance on your behalf. Christine has worked with us to provide both complete care for my aged father. as well as giving us feedback as to how he is doing, and allowing him to fully accomplish all of his errands and medical appointments. Additionally, she has been incredibly gracious to work with in absolutely every capacity. 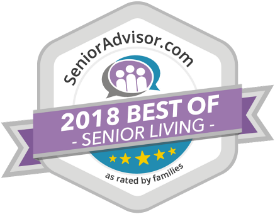 I completely recommend Elite Senior Home Care without any reservation. We have had a live-in caregivers from Elite for my sister for almost three years now. Both aids have been there since the beginning and are extremely caring. My sister loves Lola and and Josseth like they are family. They both go above and beyond every day for her. I always say that she would not be alive today if it were not for the very caring individuas from Elite Senior Home Care thank you for all your services. Thank you very much. Your agency was EXCELLENT and Islande was the best. The best people ever !!!! I was so afraid when my dad needed round the clock people in his world. I phoned places but only Elite came out to meet dad, and that was the owners!!!! They are very concerned about their "family members" likes and dislikes. They worked with my schedule and the nurses that had the honor of taking my dad under their care were pretty much wonderful. If ever one couldn't or didn't show Christine and Dolores came instead, sometimes staying over or at hospital with him. They treated me like family and I am forever grateful for all they did. Choosing Elite was a great decision. I am grateful every day that I chose this agency. We have been using them for 2 years. I can't even imagine anything more they could do for us. They have always provided amazing care for my dad. They took him wherever he needed to go, helped with household chores, laundry and food prep.They were extremely accommodating whenever his needs changed. We went from 12 hours per week up to 24/7 coverage. They were able to bring in caring and competent staff on very short notice. The owner, Christine, is totally dedicated to her business. She has helped us out at all hours of the day and on holidays. I trust them with my dad's life and have full confidence in them. Fantastic agency!! I have nothing but good things to say about them. Very professional and attentive to my mother. No comparison to last company we worked with. Great care, keep up the good work Elite!! Our caregiver is very good. She is reliable and dependable. She anticipates my Mom's every need. I just now asked my Mom how would she rate her care and Mom said, "Definitely a five-star rating!" She plays cards with her and takes her shopping and to her scheduled appointments. She always provides good quality care. She helps out around the house sweeping, mopping and even sets the table. She represents herself and Elite Senior Home Care well by her clean appearance and positive attitude. Great service and very easy to work with. The owner Christine and Norma is very on top of my mother's services. Could not be happier with the amount of care my mother gets and she loves her caregiver. Definitely recommend this company to anyone!! We were referred to Elite Senior Home Care when my mom broke her hip in January. I cannot say enough good things about this service. They made such a difficult time easy and painless. My mother was anxious about strangers coming into her home, but within minutes, the aides provided were like family. Knowing she was in such caring hands gave all of us comfort and peace knowing she would be well taken care of. The aides they have provided, especially Marie, have been great. I would not entrust Mom's care to anyone else. Christine was very responsive and understanding of my mother's needs. She set up a plan to identify 2 potential caretakers that my mother and I would interview. They listened and were responsive to what was needed. So far we are very pleased. We know that home is where your heart is. Let us address the difficulties and challenges you face so you can remain safe and comfortable in your home environment. 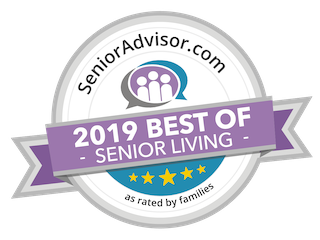 Elite Senior Home Care is a locally owned private duty and skilled agency that tailors services to meet individual needs.